Djurgården is an island in the central area of Stockholm. A beloved destination for locals and tourists where one can find museums, gardens, and many family-friendly activities. Here are some places that you can enjoy during your visit. The Museum of Biology offers the visitors the possibility of seeing all kinds of birds and mammals of Scandinavia. The Museum of Biology became the first museum in the world with this particular feature. Currently, the museum is undergoing renovation works and is closed to visitors. However, it’s beautiful architecture can still be admired from outside. If you love the beautiful stories of the famous Swedish Writer Astrid Lindgren, in the Museum Junibacken you will meet many of her characters such as Pippi Longstocking, Ronja the robber’s daughter, the Lionheart Brothers. A unique and fantastic place to visit with kids in the Djurgården area. The industrialist Carl F. Liljevalch donated his money to construct the Liljevalchs Konsthall which is considered to be one of the most beautiful art galleries of Northern Europe. Here, one has the possibility to admire Swedish and international art. In Liljevalchs Konsthall, children, teenagers, and young adults have an open door to build their own creations while working with different materials. Museifartygen is a place to admire the ice-breaker ship Sankt Erik and the lightship called Finngrundet. No longer in use, both of these ships are now part of the museum. The Nordiska Museet gives a picture of the Swedish daily life from 1520 until now. Artur Hazelius created this museum which has the appearance of a castle. Hazelius collected everyday objects with the aim that future generations could see and experience the farming culture of the North of Europe. Here you can find, for instance, cute dollhouses from the last centuries until now. I highly recommend to visit the Main Hall, the Table Settings and the Strindberg Collection. Waldemarsudde is a very famous art museum in Sweden that many people visit daily. Prince Eugenʼs Waldemarsudde, instead of choosing a military career, he chose to follow his passion: art. A fantastic painter, he worked on projects for Rådhuset, the Royal Dramatic Theater, and the Royal Opera. In Waldemarsudde you can admire many of his paintings. Skansen is an open-air museum which was opened in 1891. In Skansen, you can find farmhouses that give a picture of the daily life of Swedish people in the past. In the Town Quarter, you can see the original wooden houses of Stockholm. Bakers, glass-blowers, and craftsmen show the public traditional Swedish skills. As Skansen is a very big open-air museum, I suggest planning a whole day or an entire afternoon to spend there. 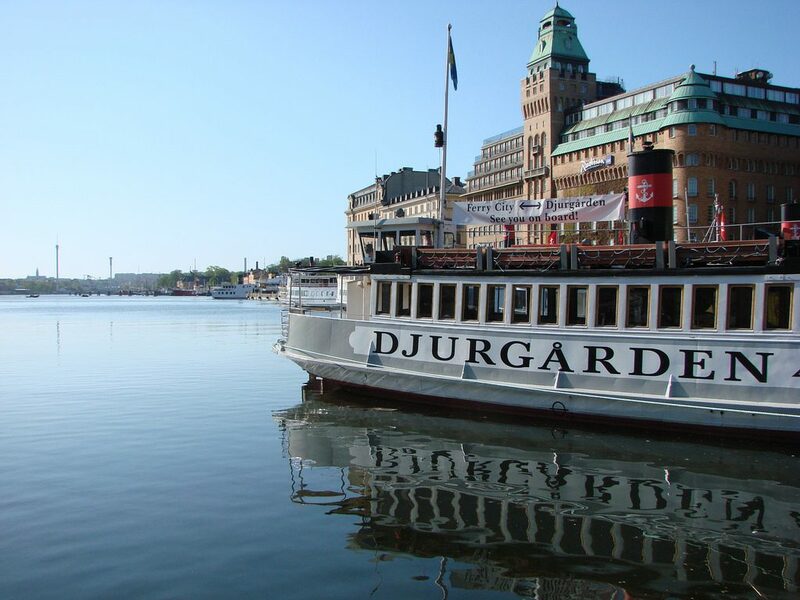 If you visit Djurgården, make sure you reserve some time to visit it! In Thielska Galleriet it’s possible to admire the contemporary art collection of the banker Ernest Thiel. A fantastic collection that showcases Nordic art. The Vasamuseet is one of the most famous museums in Stockholm and Djurgården. Itʼs a museum about the Royal Warship Vasa which sank in the harbor of Stockholm on the 10th of August of 1628. The Royal Warship Vasa reemerged to the water surface after a complex procedure. If you visit this museum, you will see a 95% restored Vasa ship.